Snrky: On the bright side, our backlogs should get shorter. On the bright side, our backlogs should get shorter. I went out to see if I could find an example of someone actually doing this, maybe using a hashtag, but I couldn't find any examples. 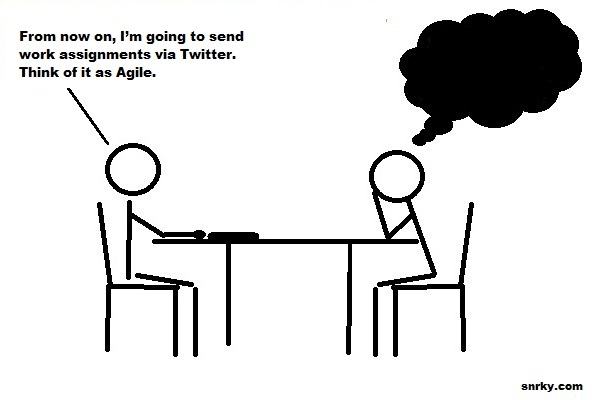 It could be that Twitter Project Backlog Maintain just isn't a sufficient search because so many people talk about Agile on Twitter. Funny Snark!